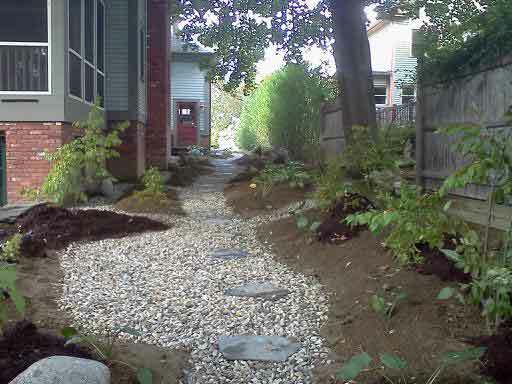 Portfolio Categories: Grading, Path, and Rainwater Garden. 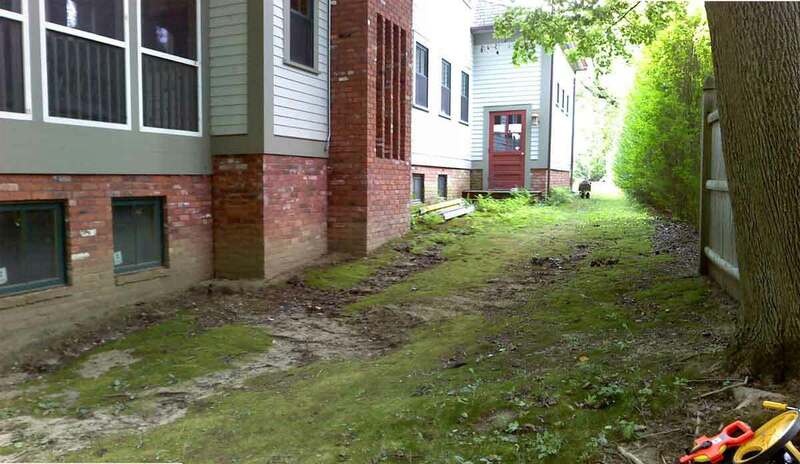 The owners of this Northampton property were experiencing a significant water erosion problem and water in their basement. 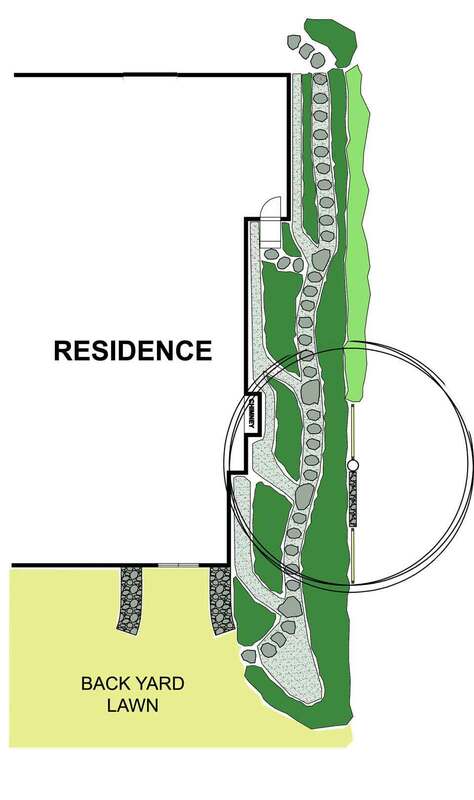 Paradise City Landscape Design proposed a solution which combines a swale with a beautiful walk through a shaded perennial garden. 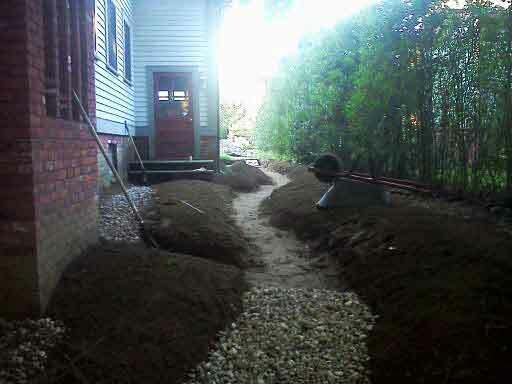 The swale collects the rainwater runoff from the roof, guiding the water down the slope to the back yard. 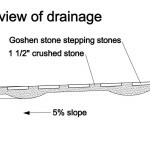 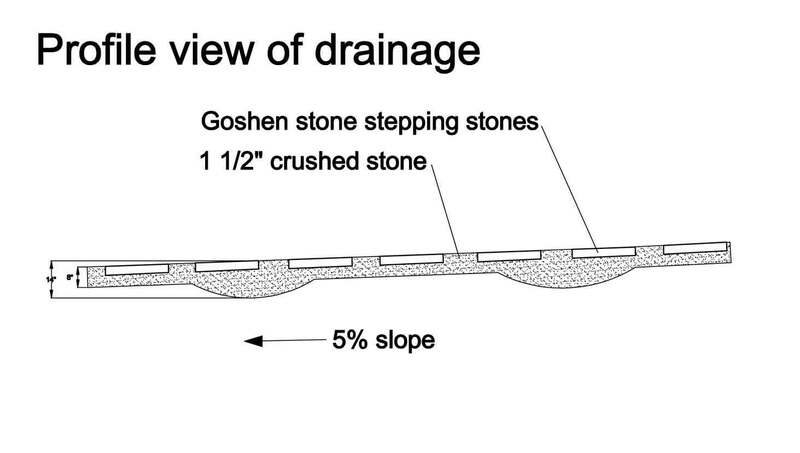 Goshen stepping stones, embedded in the swale’s crushed stone, create a fun path for the owners’ children, hopping and playing. 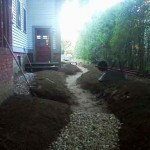 Paradise City Landscape Design offers a broad range of services to homeowners and business people across the Pioneer Valley. 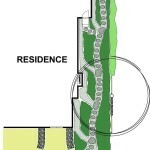 We put our knowledge and experience to work in landscape architecture, site planning and design. 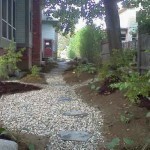 We also install what we plan for you: stone walls, paths and patios as well as water features, rain gardens and plantings. 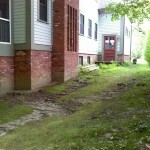 As needed, we also do site work that includes excavating and grading. 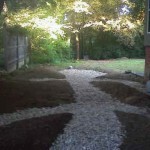 Copyright © 2019 Paradise City Landscape Design. 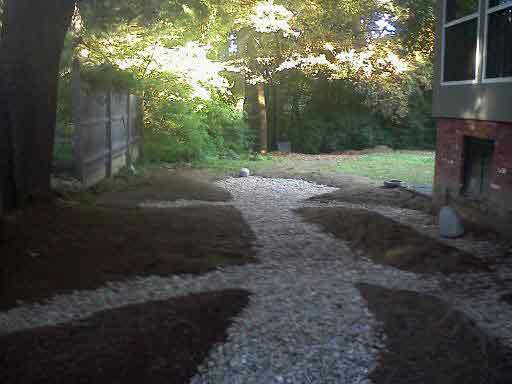 Content by Beetle Press.